Apple has filed a response to a suit brought against it for allegedly conspiring to fix e-book pricing, reports Bloomberg. In the filing, Apple says that the lawsuit is fundamentally flawed and says that its promotion of the agency model actually spurred competition in the face of Amazon’s dominance of the market. “Apple’s entry into e-book distribution is classic procompetitive conduct” that created competition where none existed, Apple said in its court papers. The Government starts from the false premise that an eBooks “market” was characterized by “robust price competition” prior to Apple’s entry. This ignores a simple and incontrovertible fact: before 2010, there was no real competition, there was only Amazon. At the time Apple entered the market, Amazon sold nearly nine out of every ten eBooks, and its power over price and product selection was nearly absolute. Apple’s entry spurred tremendous growth in eBook titles, range and variety of offerings, sales, and improved quality of the eBook reading experience. This is evidence of a dynamic, competitive market. These inconvenient facts are ignored in the Complaint. Instead, the Government focuses on increased prices for a handful of titles. The Complaint does not allege that all eBook prices, or even most eBook prices, increased after Apple entered the market. Apple says that Jobs’ statements were not accurately characterized. Apple says that its entry into the e-book market promoted sales and forced Amazon to compete more aggressively. Apple even mentions the fact that e-reader technology has been significantly advanced as a byproduct of the competition. The DOJ’s accusation of collusion against Apple is simply not true. The launch of the iBookstore in 2010 fostered innovation and competition, breaking Amazon’s monopolistic grip on the publishing industry. 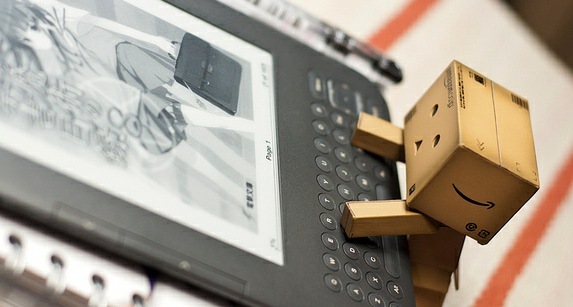 Since then customers have benefited from eBooks that are more interactive and engaging. Just as we’ve allowed developers to set prices on the App Store, publishers set prices on the iBookstore. It is interesting that Apple is touching on the e-reader market as part of its defense. Since Apple entered the e-book market, Amazon has shipped a half-dozen new models of Kindle and Barnes & Noble has followed suit with a bunch of Nooks as well. Apple is clearly trying to make the case that its adoption of the agency model helped the overall market more than it hurt it.